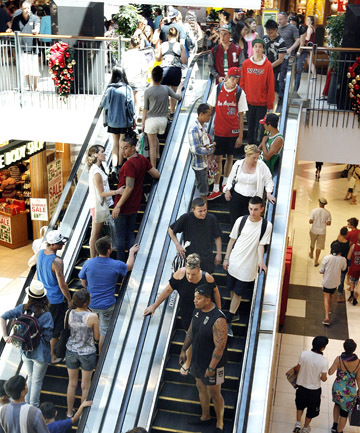 On May 21 there was an article in the DomPost by Hank Schouten about shopping malls. 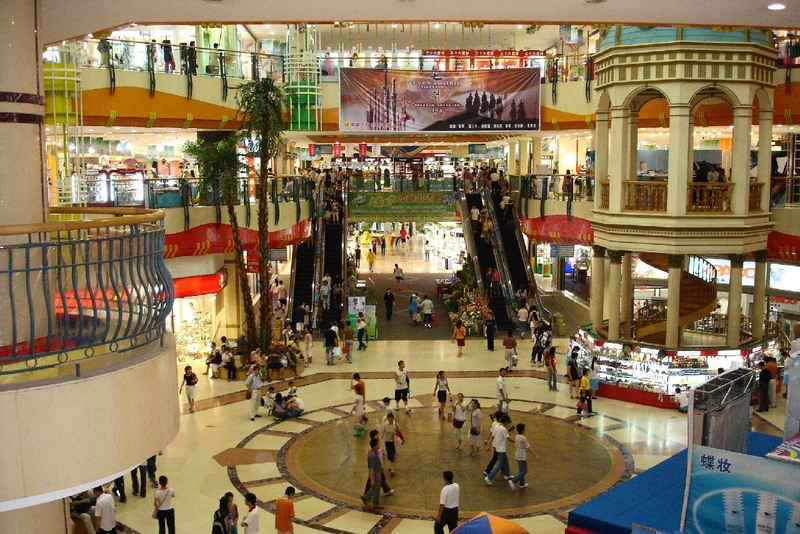 The article said (provocatively, I thought), that : “More malls needed, say researchers”. This research, based on info paid for by international property wranglers Jones Lang LaSalle, noted that New Zealand has “only 0.4 square metres of mall space per person, which is low by international comparison.” Thank God for that, I thought, but then again – I am not their target market. Jones Lang LaSalle director Andrew Brown apparently noted that “Wellington’s 24 enclosed malls compete vigorously with Wellington’s inner-city retail offering, but he believes there is room for more mall space.” He reckons there is room for a further 37,000sqm ie another Westfield Queensgate. “Please not another WESTFIELD!!!!! they are all dull and boring Shopping Centres, same old same old!. Yes maybe more malls BUT please ensure they are different.” from I loveNewZealand. “To put it simply. I’d rather saw off my own legs with a wood splinter than spend an hour in a mall. They are a grim reminder of how dependant some people have become on spending all the cash they have on things they dont need. I get everything i need from food and stuff. They have food. and stuff.” from RonSwanson – good on you Ron – get busy with that splinter! United States has more than 2sqm of mall space per person, but it is oversupplied. New Zealand has 0.4sqm of mall space per person. Auckland has 0.6sqm of mall space per person, “more than anywhere else in the country”, and yet curiously Waikato is also reported as having the most mall space per person in New Zealand, with 1sqm per person. They note that Auckland’s mall patronage / metreage is “significantly lower than we would expect for a growing city of 1.5 million”, and JLL estimates that Auckland will need 357,000sqm of extra mall space, the equivalent of nine Westfield St Lukes malls in the next 18 years. If you want to read further, the original JLL report is here. “The contemporary shopping mall is a classic instance, striving to ape the complexity and interest of a traditional market, but with one, overarching difference; the space is privately owned and entirely under private control. The air is cooled and conditioned and gently muzak-laced; the lighting, level changes, transparency and detail are minutely orchestrated to slow your gait within microsends and lull you into buy-mode; and no one, other than the owner, has any right to be there. Everyone else is there on sufferance. Anyone undesirable, or homeless, or obviously poor, can be summarily shuffled out so that the mass-narcosis of consumerism never pops.”(p138). It seems to me that today’s article on a proposed Mall just off Manners Mall is a response to that, yet it also has commenters to the Stuff website frothing at the mouth. There’s not enough to really chew over here – good points include the deletion of the awkward pedestrian clashpoint at the door to Barkers (used to be Paris Texas) – and a big curved glass frontage at this point would seem to be a reasonable improvement. What Jasmax and Muollo are trying to do of course is to pull the crowds walking towards Willis St away from their designated route along the congested Manners St, and down a currently back lane. That’s just all good planning, and I don’t think anyone would really try and stop that. Its a small mall, not a Pall Mall, but presumably they would need WCC input in enlarging the small grotty alcoholics / degenerate smokers park that they share with diseased pigeons, and also in building a new pedestrian crossing at the junction with Bond St.
“So it is interesting to note the increasing interiorisation of shopping as an activity. From the traditional street market where interiors were usually makeshift and temporary, to the modern mall where entire city blocks and precincts are interiorised to give the (usually female) shopper the illusion of being in a vast, sparkling, bejewelled, cathedral-like home. Woman like malls because they’re known, comfortable, clean and safe – from muggers and spitters, from sun, storms and mendicants. Here, at fantasy-home, women will relax, and when they relax, they will spend. Malls titillate and relax, even while they make you feel needy, inadequate and dreamily disoriented. They’re meant to. It’s like chocolate. If you can be made to feel bad, in a small way, the more you want soothing, and the more you buy. One thing you don’t see much of in a mega-mall, therefore, is social life. Whereas in a high street you might stop for a coffee, in a mall you bump into someone, you say hi and press on. This is because, from the first car-park moment, the place is designed as a disconnect, separating you from your reality and from your higher, warmer self. It’s designed to put you in a bubble – a car-like bubble – of self-gratification. There is Queensgate. And Porirua. And probably Maidstone Mall, providing someone hasn’t shuttered the doors and windows with plywood to keep vagrants from sleeping in its tatty 1960s interior. But where are the other 21 hiding? Are they counting Coastlands, which doesn’t qualify as being in Wellington in my book? 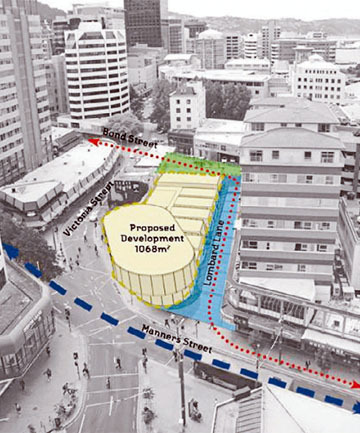 And maybe the food court in the BNZ tower, and the interlinked upstairs shops with Whitcoulls anchoring one end? DavidP – I don’t think they mean Queensgate etc, although I haven’t read the whole report yet. And yes, I think they do mean places like the BNZ Food Court, but also the smaller ones like the little links through to the Terrace from Lambton Quay. I may be completely wrong, but those are the only “enclosed mall” spaces I can think of. But I can’t even remember any of their names – but there is probably at least ten of them ? Surely the likes of Duke’s Arcade and The Oaks wouldn’t be included in that? So, yes, Dukes Arcade probably would be part of that, as it is an enclosed space. The Oaks however have really done away with any interior space some years ago, haven’t they? Personally, I’d say Wellington is geographically blessed, rather than geographically challenged… but each to their own, I guess. If the report writer had bothered to actually go to Hawkes Bay, he may realise that retailing (and the shoppers therein) are on the bones of their arse in that region, and already many shops are empty. Building more malls there will only make it worse. Is it intended that there shops will open off a central enclosed corridor space? Also they can’t really expand the park much as there is still a large car parking building nearby that needs reasonable access, and pretty much turns that street into a traffic Jam in the evening rush…..
A bit hard on the Lombard Park, Max. I find it an ideal place to pause from my flanneur’s rounds to nibble on an Artcraft date scone. True, some of the pigeons (like the human users) are a little the worse for wear and have a rather heightened sense of entitlement when it comes to date scones, but I would much rather 10 microparks like this one than two or three Midland-scale ones. Seeing that many public servants scoffing and flirting at the same time can be a little unsettling. What did you think of Liz Farrelly’s writing? I love the way she puts words together – weaves a beautiful picture. Way better than I can. Greenwelly – i think they mean mall as in lack of cars in street. A stretching of linguistic license perhaps? Not more malls’ 24 is more than enough for 500K people. Horrible things that they are – could rip the soul out of a human being. Elizabeth Farrelly (FKA Libby Farrelly) is, I believe, a product of Auckland University School of Architecture. And yes she can string ’em together, can’t she? No doubt this part needs some thinking, and I’ve had the same thoughts before about turning that lane into a pedestrian route, it already is my default pedestrian route now that there’s a good cafe (Lamason) down there. And the park is a pretty good spot to find some sun too. 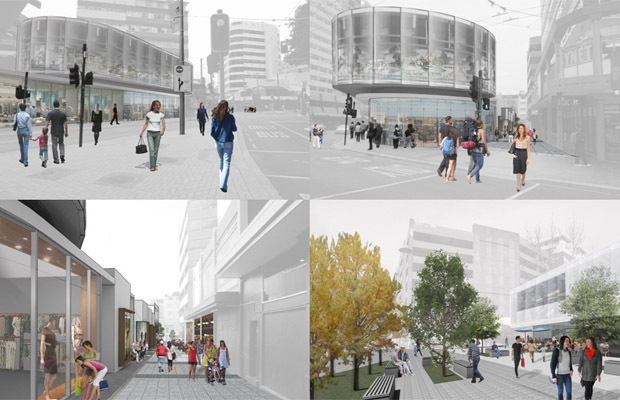 But that still leaves Victoria St as largely an ugly mess through this part of Wellington, and I wonder if there might be a better idea out there that involves moving or changing it somehow rather than leaving it as is. Also. I’m developing an aversion to anything advertised as “Melbourne-style”. I like Melbourne (although it’s architecture has become a bit too “ooh look I put a coloured box on the side of this building” for me, tho there are some gems in there) but anyway what I mean to say is how about we come up with something Wellington-style. What about the other interesting news this week? To demolish the town hall and build another empty box convention center, or spend 43 million (crikey) strengthening it. Wellington had a number of these small “temporary” retail buildings (Oaks, Dukes, this one on Victoria St etc) which were put up in the 80s and it was only intended (i think) that they were there for 10 years or so. That is now 30 years ago. Time for them to be demolished and a better solution built! Interestingly, the proposed site can build up to 75m high without major modifications. There was a previous proposal to build a Wellington franchise of the Columbard “corporate crash pad”, but that never eventuated. Whenever I walk from the train station up to Courtenay Place, this corner feels like the last corner before you’ve made it there. When Manners Mall was fully pedestrian you felt like you finally had walking freedom when you rounded that corner from Victoria and entered Manners St. It’s a go between area, it would be cool to have something draw you there and stop like the ice cream place by Taranaki St – a crazy open air market maybe with something going on that people just passing through can enjoy. Greenwelly and Maximum – discussion about whether a mall needs to be enclosed or not seems a bit academic – there are a couple of examples of unenclosed malls quite nearby – Manners and Cuba. This development would be no different, and really an extension of the former – hopefully with a bit more soul than the current reincarnation though……. That should be Maximus, of course,…. Flat White – Mall by name is different from Mall by nature… I take your point, but personally I in no way consider that Manners Mall was ever a Mall in the modern sense, and nor is Cuba St a Mall in any way. They were/are pedestrian precincts – and what is the important is (especially in regards to what Libby Farrelly is saying above) they Are Not Private. Why, you can go into Cuba St and set fire to your car in the middle of the street to protest against fractional banking if you so wish…. or take a sledge hammer and bash it against some tarmac… while the Police were called for both of those, that’s very different from the wholesale privatisation of space that a Westfield excels in. What is probably worth noting, is that in the top picture of a mall (Queensgate in Lower Hutt), there are at least 20 people, all young couples, all about the same age, some holding hands, so clearly going to the Mall is a bonding activity (buying fresh new clothes), a nesting process (buying new crap for your pad), and all in a vibrant young age group with no dependents. Mall life = Breeder life. Not for old Fish like you Max! I hope they can get rid of the pee smell coming from the Lombard St Parking Building. Actually, maybe they should just get rid of the Lombard St Parking Building.